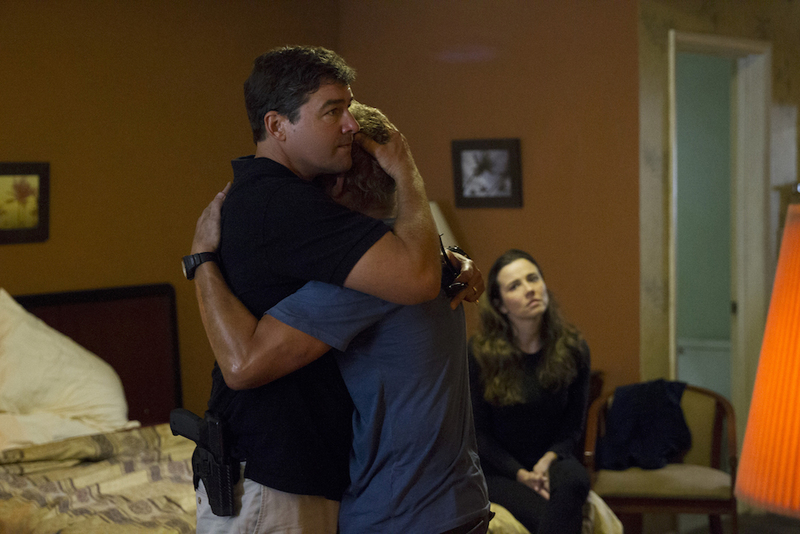 Kyle Chandler utilized memories of his late father and mother to create empathy for a character who did a very bad thing last season. In the first season of the drama, Chandler’s character, John Rayburn, did a very bad thing: [spoilers ahead] He killed his brother. Season 2 found John trying to move on from the tragedy, but, more importantly for the audience, Chandler had to convince us his character was a man worth watching — worth rooting for, even. To do this, Chandler told IndieWire he drew on memories of his late father, who died when Chandler was a young boy, his Alzheimer’s-afflicted mother and his own relationship with siblings to relate to his character. A lot of actors talk about building a backstory for their characters. Is that something you did with John? Oh, yeah. That’s almost like an imperative for something like this. I’ve been doing this for awhile, but you never stop learning how to act and what creates the possibilities for creating roles. Your technique changes. But for this character, there was definitely a backstory I created, a backstory that was given to us, and then once you start working on a show like this, the backstory comes naturally and you can create things as you’re going along. I’m about to start working on a film called “Sidney Hall” that I’m really excited about, and it’s the perfect kind of a character that you enjoy creating a backstory for. And those things are great too, because they’re your own secrets. You know, there are certain things that you don’t have to share and you don’t want to share with anybody, director or anyone, but you can still use them. So the backstory, it’s like writing your own little novel. It’s fun. Do you rely on stuff from your own life? Do you draw on “being a family man” to play John, or do you disconnect and try to build from what’s on the page? There is no right or wrong, there is no yes or no to that question. It’s all an amalgam of everything — your experiences. You get to do anything you want, as long as when you get to the scene, you’re performing what the scene needs to have accomplished, in your own way. Was there a scene perhaps in Season 2 that really informed your backstory, something you drew upon from experience? Well, I’ll give you an example of something personal that happened in the first season. When I had a scene with Sam Shepard — sitting on some steps, sharing tequila together — some decisions were being made. That was probably my most enjoyable scene of the year because personally — as a personal thing — my father died when I was a kid. And I got to sit with [Shepard], and I was able to believe in myself that that was my dad sitting there, not Sam Shepard. And I really enjoyed the moment. It really made me feel good for weeks after that. I felt like trust became a very important theme in Season 1, but maybe not one that people talked about a lot. Was there something from the new season you feel like might get overlooked? Or something from Season 1? You know, with “Friday Night Lights,” people thought it was a show about football, and it really wasn’t. It was about relationships and high school and high school kids and growing up and becoming young men and women. And people liked that. Whether they liked football or not, it didn’t matter because it wasn’t really about football. You might think, because certain things happen in “Bloodline,” that it’s about lies and thievery and cheating and stabbing each other in the back. But it’s not. It’s about family. And within every family, there’s all of that, in some form or fashion. Maybe not to the extent of killing each other, but it’s a little bit of a looking glass into how you deal with your siblings. It’s much different when you’re little kids, as opposed to when you get older and become young men and women with your own families. I’m in that world now. You know, my parents passed away. My mother had Alzheimer’s, and there are just a lot of pressures put on people and how they deal with things. Even though they’re siblings, they’ve got other families to deal with now, and their relationships are much different and changed. I think there’s an interest in that, because we all have that. And people who watch the show can see, maybe to a different degree, “Oh yeah, that’s right”; how things change and how family changes, and how fractures can become fissures and separate families. Still, it’s blood. There’s always that trust. There’s always, “I don’t care what you do to me, you’re my sister, you’re my brother. I’ll give my life for you.” So it’s more interesting to play the trust, and show the things that break it apart, than show the evil. The choice that you don’t have all of the scripts going into a new season is interesting. It seems like a big challenge for the actors. What’s that like for you, compared to when you’re shooting a movie where you have everything going in? For me, I enjoy that. I think it gives me a little bit of freedom. It’s kind of like the first time I did a green screen. I was doing “King Kong,” and I was really nervous because I didn’t know what I was going to be doing. There was no specific information to study. And then when I got there, I realized it created all the freedom in the world because I could do anything I wanted. I could create the creature in front of me. Whatever action I did, they would fill it in. I sort of feel the same way about going into these scenes on the show. There are a lot of specifics that we may not have. There may be a future scene where there’s information that I would have while I’m doing the scene I’m working on now, but I won’t find that out until later on in the script or in the season. To not have that information is kind of pleasant because when you find out — the character finds out — you’re finding out something new about yourself, even though you already had it before. It’s an odd dynamic, but for me it allows a lot of freedom. Sorry it took so long to spit that out. No, no, that was actually great. “Bloodline” Season 2 is streaming now on Netflix.